Where'd You Get That Lotion? FEBRUARY 5--A Massachusetts man allegedly stuffed 75 bottles of lotion in his pants during a shoplifting tear at a Bath and Body Works store, police charge. 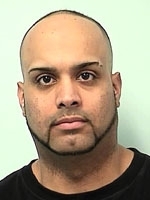 Chamil Guadarrama, 30, was busted Wednesday at the Eastfield Mall in Springfield as he sought to flee with the hot lotion. Guadarrama, pictured in the mug shot at left, was quickly apprehended by security guards. Police noted that Guadarrama "had a hard time running and was extremely bowlegged." 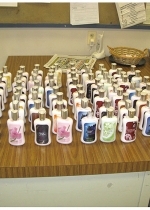 While the pilfered items each contained eight ounces of lotion, they likely weighed about a pound each due to their glass bottles (to keep the lotion from sliding out the bottom of his pant legs, Guadarrama had tied string around his ankles). 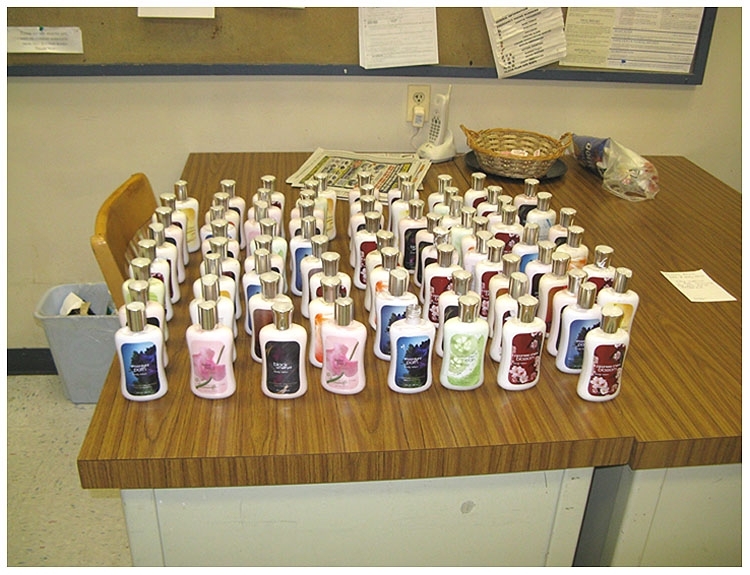 Police reported that the lotion haul, seen in an evidence photo, was worth $787.50. Submitted by badbob38 on Mon, 2010-12-13 07:54.